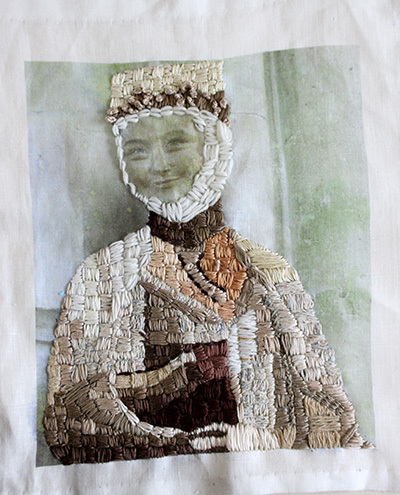 This hand stitched embroidery is a creative piece of wall art inspired by a stone statue. To make it I printed an image onto linen, then stitched by hand using contemporary stitching. 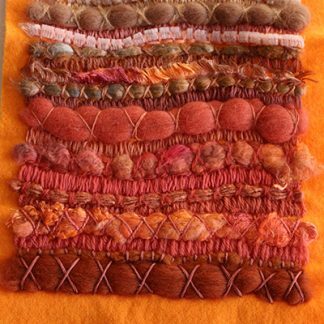 In this piece of textile art, I have used a variety of silk embroidery threads in many small stitches in a wide range of neutral colours to give the effect of stone. 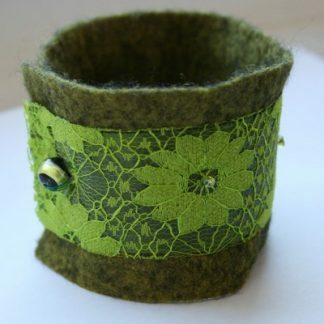 I have incorporated French knots and my own style of contemporary embroidery. This is a unique handmade item as no two pieces are ever quite the same. I have called it ‘Elegance’. 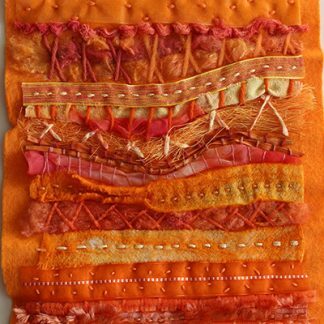 This piece of textile wall art is on a piece of pure linen, which is hemmed. You might frame it or mount it as a piece of art. You are buying the hand stitched art only. It could be used to make a bag, cushion or a centre piece for an innovative quilt for your own personal use. The piece measures 26 x 30cm (just over 10 x 12 inch), with the stitched area measuring 20 x just over 23.5cm (8 x just over 9″). A certificate of authenticity will be provided with this work of art.